Holistic Integrative Care Center's much anticipated holistic nutrition workshop is back! Let's get your health journey started! 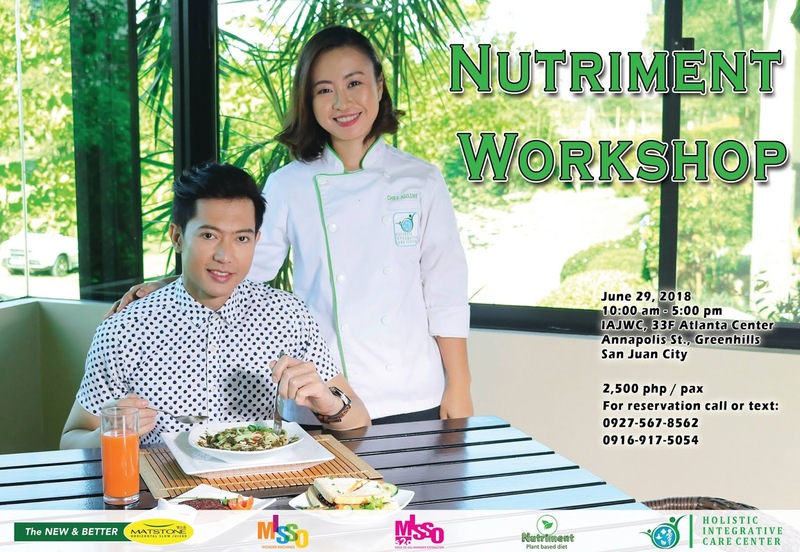 Come and join us in a day of making delectable and healthy recipes and discover why everyone is falling in love with plant-based diet. Be inspired to create new recipes, learn new things, and meet new friends. There will be sampling of yummy healthy dishes, take home recipes, and handouts along with question and answer time and a truly unforgettable experience to share. Chef Arlene Clemente- an internationally trained holistic raw food Chef, with amazing credentials and seasoned speaker for health, wellness and disease management. Holistic Ambassador Ronnie Liang - certified music hit maker and a health buff, following what is good for the body, mind and spirit.